Fishburn has hired Roger Cleghorn to the newly created post of head of corporate reporting. Cleghorn, who will sit on Fishburn’s board of directors, was previously client director at Radley Yeldar, where his clients included Lloyds Banking Group, Premier Farnell and Antofagasta. Fishburn said it created the position specifically to cultivate its stable of corporate reporting clients as well as to "grow online opportunities" in that sector. 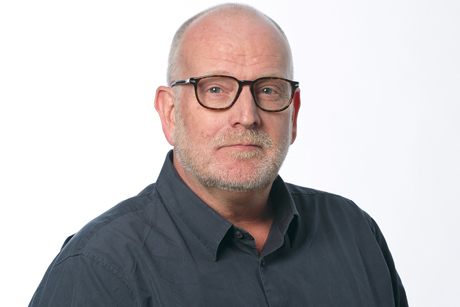 The company said Cleghorn, who took up his role last week, brought more than 20 years of experience in design management and would concentrate on developing its reporting consultancy capabilities. He will also assist in delivering integrated work for Fishburn’s clients, which include Barclays, Network Rail and Nokia Solutions Networks. Cleghorn will report to Fishburn’s chief executive, Ali Gee, and will work closely with its executive creative director James Beveridge. Beveridge said: "Roger brings a real depth of talent and a passion for effective design that delivers a tangible advantage for clients. We’re delighted that such a highly regarded specialist has chosen to join us at this exciting stage in our company’s journey." Earlier this year, Fishburn was created from Fishburn Hedges, the PR agency 77 and the design specialist Further. A number of senior directors left the company’s management board following the merger.